The better clean and car wash experience! Now Open in Hardin Valley! SafeShine® Car Wash in Hardin Valley will have you in and out in no time with the latest and safest in car wash technology the SpinLite® auto wash system. Our Shinemitt™ soft cloth wash offers you a superior clean without the scratching that can occur with hand washing or traditional auto-wash machines. Stay in the car while your vehicle is washed and dried and we will have you in and out in no time with your car looking beautiful. SafeShine® Car Wash the best clean for the price! SafeShine offers the latest in car wash technology the SpinLite® auto wash system with a Shinemitt™ soft cloth superior safe clean. We offer a special unlimited monthly fast pass for customers that love to drive a clean car every day. Sign up and start saving today! With our state-of-the-art car wash technology and dedicated staff, our goal is to make sure you always get the finest car wash possible. SafeShine's SpinLite® soft cloth technology is a safe, fast and superior way to wash your car. Made in the US, the auto wash system is so safe, that leading manufacturers use the SpinLite® system to clean their new cars. Our Shinemitt™ soft cloth wash is gentle, quiet and thorough – with more than four times the touches of a traditional car wash it delivers a better than hand washed result. Too busy to get the car cleaned? SafeShine’s safe, soft cloth technology will wash, clean and dry your vehicle in less than 5-minutes. 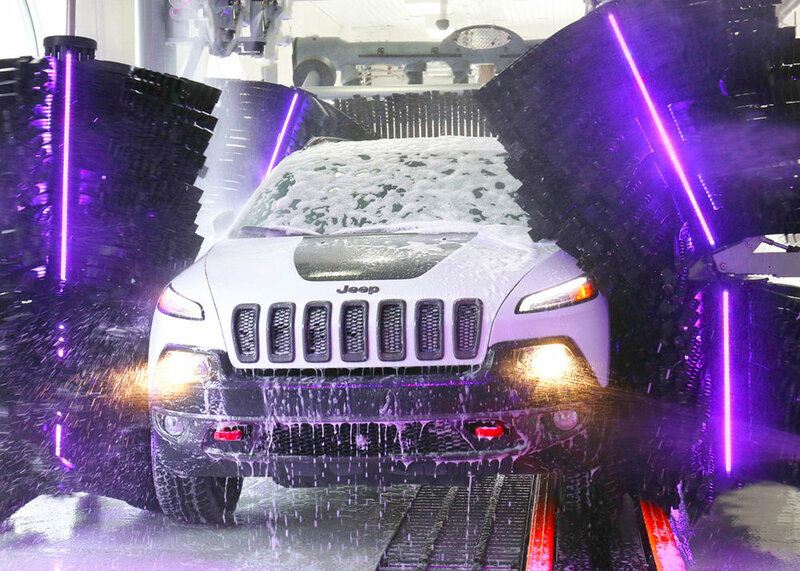 Our clean and fast tunnel wash means that you won’t have to get out of your car. You will be back on your way with a clean, shiny car before you know it! Become a SafeShine® Insider! Subscribe to our newsletter and immediately get a FREE Express Wash! Plus get coupons, exclusive deals, discounts & more sent directly to your inbox.